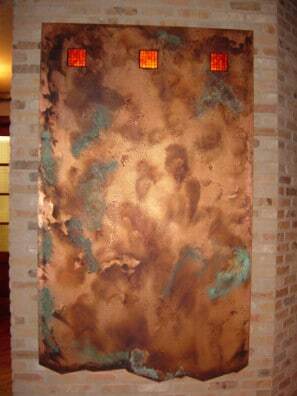 Restaurant Copper Panels - CK Valenti Designs, Inc. 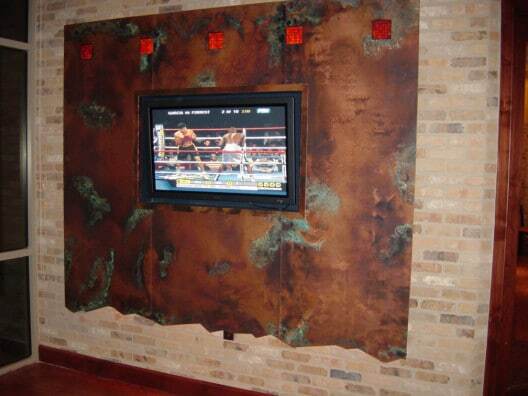 These artistic copper panels were fabricated for an upscale restaurant in Tucson, AZ. 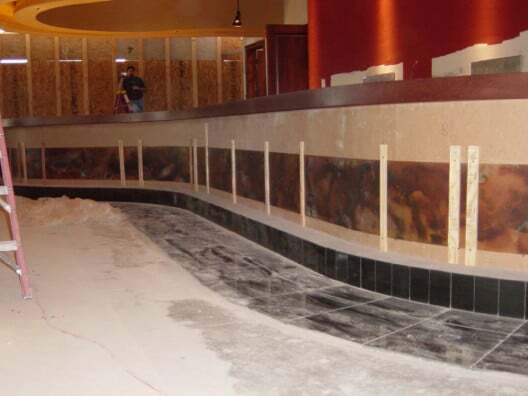 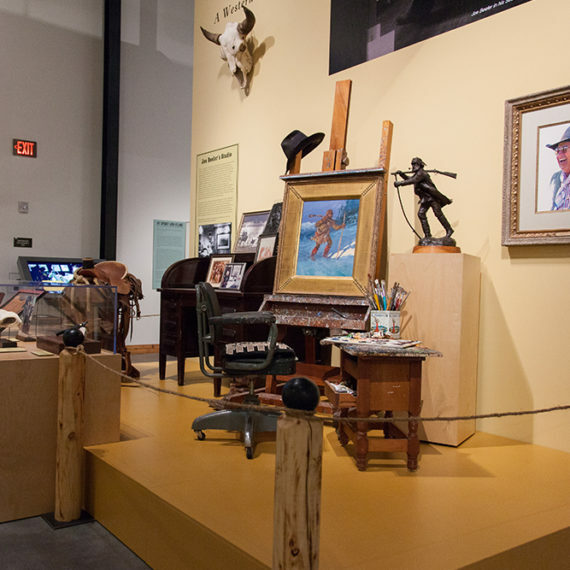 The patinaed panel concept was initiated by the Interior Designer who turned the final design, fabrication, and patination over to CK Valenti Designs. 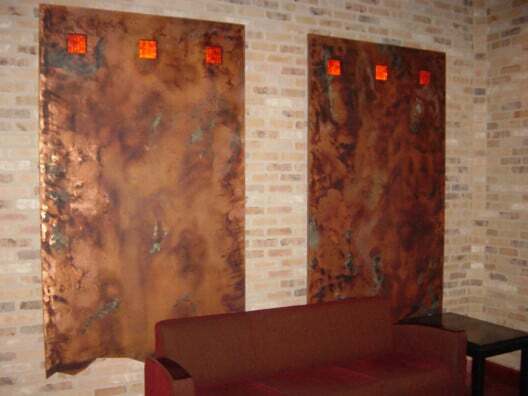 This creative copper art consisted of 6 custom wall hangings with unique detailing on the front of a 57’ bar, as well as copper panels on approximately 90’ of paneling in two boardrooms. 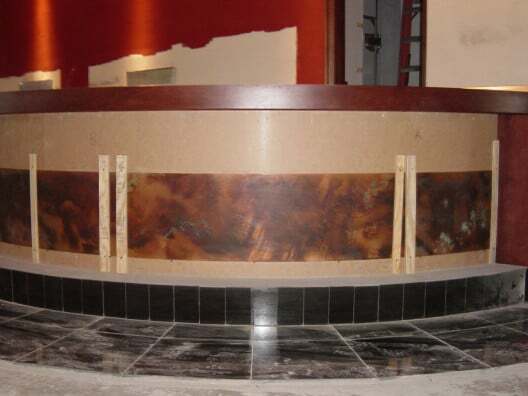 These were custom fabricated to blend with the hostess stand copper panels. 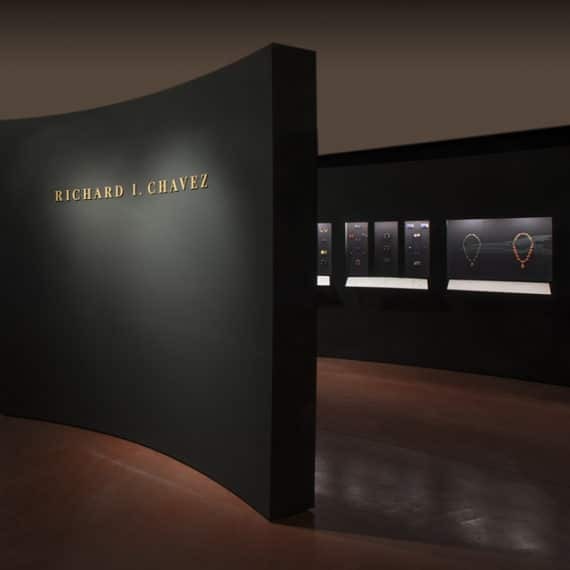 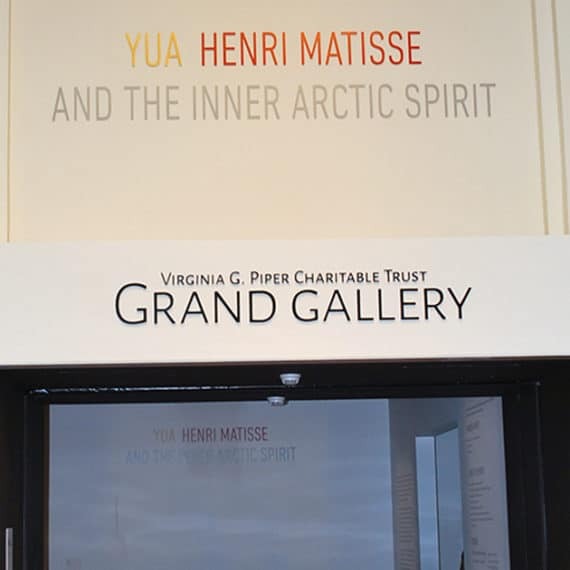 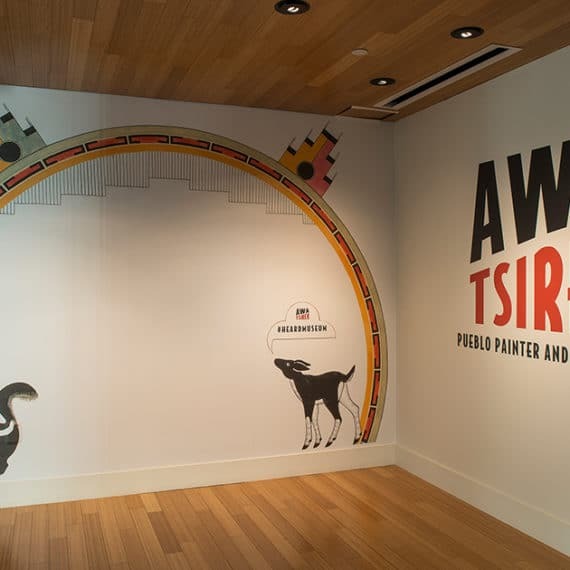 Design by Rene Tinsley & Associates.